A pony and a child have an opportunity to have a connection right from the start. But, what typically happens? 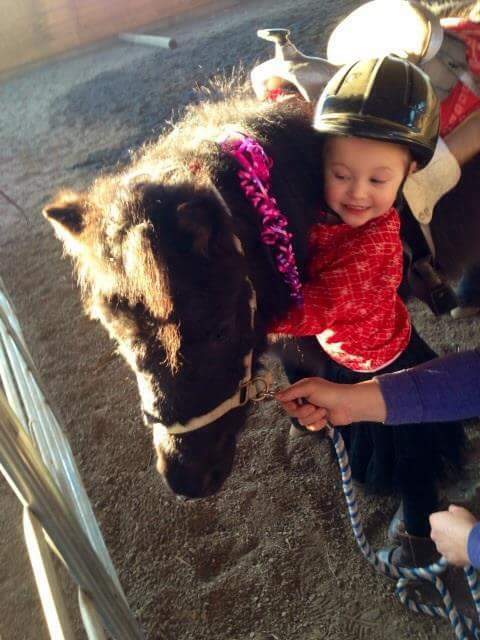 A child’s typical first pony ride goes something like this. It is such a happy joyful time for the parents and children. Parents busy themselves taking pictures capturing the moment of a first in their child’s life. Children range from smiles to concern, some taking their pony ride seriously focusing on their job, many are all smiles as they move with the rhythm of the hoof steps and other children wiggle and move like they are riding a playground tire swing. Yet, watching children at a carnival or festival on a pony ride now leaves me sad. What about the ponies? What is this experience like for them? I have a friend of a friend who runs a pony ring carousel business. Pony Carousel rides are those setups where 3 or 4 ponies are hooked up to a carousel and children have a pony ride round and round in a circle for a few minutes for $5 or $7. Sometimes the children are belted into the saddle and other times children are left to balance on their own or have a side walker with them for the duration of their rides. My friend told me one time that some ponies only last a season or two before they burn out from giving rides to children on the ring. The ponies tire of being subjected to the repetitive bumping, kicking, wiggling, unpredictable nature of children riding them. I often see ponies on the ring with ears back and stress wrinkles in their lips. So, it’s true that pony rides are not the same experience for the ponies as they are for their riders at times. The riders are not connected to the ponies and the ponies are not connected to the riders. The child is there for the fun and rightfully so. 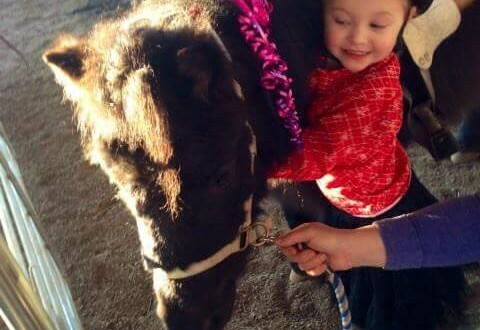 Riding a pony should be fun for a child. But what about the pony? Is the pony having fun? Does that matter? At the age of 37 years old, I started riding horses, taking lessons at a nearby boarding and lesson facility. I had loved horses from afar since childhood having only a pet dog and cat while growing up. I wanted to learn everything possible; so I took regular lessons and continue to do so to this date nearly 13 years later. I remember thinking that if I did everything “correctly” that the horse would do exactly what it was supposed to do. I rode a horse like it was a car. You turn the steering wheel to the left if you want to go left. If you want to go left on a horse, you look to the left, touch the horse on it’s right side, close your right hand on the right rein and voila, the horse goes to the left. But, it didn’t always work that way and most of the time it didn’t work. One time my teacher asked me to try a new skill with my horse but I could not get the horse to perform this maneuver. I told my teacher I was doing all of the components required to perform this maneuver but the horse was NOT doing what I was asking her to do. Basically, I didn’t think that this horse really knew how to do this maneuver. I learned in that moment that I was the problem. After getting off the horse, my teacher didn’t say anything for a while but when she finally did she said, “Developing a feel and connection with my horse will create all the movement you want.” Wait! What did she just say? A connection? A feel? How do I do that? I honestly didn’t know. I didn’t realize that that was even a possibility. I just figured that that was something people made up. Some mystical magical thing that I in my analytical mind didn’t need because I could just figure out the skill and it would happen, like a checklist. First you do this, then you do that and then it works. But it doesn’t work or, so I was learning. I was learning new thought levels of what horse riding is and isn’t. Having a connection with something like a pony isn’t something you can see, it’s something you feel. That was the day I learned that riding horses involves connections. And, a connection is developed through feeling. Watching the horse’s eyes, feeling their body tension or relaxation, feeling their energy were all parts of riding, thus making the horse just a human then. Humans need connections too. I knew that from teaching. You can’t just stand up in front of the room and talk and expect the kids to learn. It doesn’t work that way. The kids have to feel connected to the teacher and then they learn. We are no different. Wow. Why did I not know this? Was I too busy thinking just about myself? I was. I was just thinking of my own needs. I wasn’t thinking about the horse’s needs at all. The horse was just supposed to do what I told her to do. A horse has needs? I really had never thought about that. I mean sure they need basic care, food, water, shelter but nothing else, right? The horse is just supposed to do all this stuff for me. I was so wrong. Well, I guess it wasn’t so much as being wrong but just not knowing. I didn’t know. But, now I know. They say “Know better, do better.” Now, I know better! Now I have to do better! Fast forward to today. Today I teach children how to ride ponies. But, what I really do is teach them how to connect. Connection starts often with a pet or a scratch from the children. The children and I talk about finding the “magic” with their pony. Magic seems to make sense to them. Because how can you really explain connection and feel? It takes time, experience and a whole lot of observation and patience. And, how do you know when you have a connection the kids will ask? I tell them when it seems that the pony is doing something without you doing anything. That’s the magic part. But, really, they are doing something they wanted them to do. That’s the connection. The child and the pony are connected. That’s the magic.